It was time to try a different chilli crab since my past few visits to Rolands has seen the taste change. 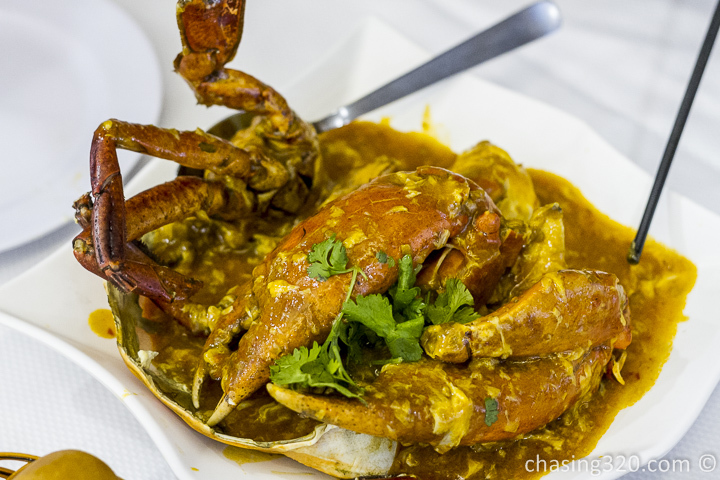 When we say chilli crabs, you hear Singapore. Jumbo Seafood has been mention to me many times and today was going to be the day i give it a try. I headed to the branch on East Coast Park. I’ve cycled past this place for years and today, I took the cab. Broccoli with scallops (SGD24). The scallops were fresh and sweet. 6 pieces of scallops in well flavored stir fried vegetables. The mayo and wasabi mix makes this a very fusion flavor. These are de-shelled prawns for easy consumption. After a while, along came the chilli crab. The first taste was incredible. The chilli is mild and leaves just a slight spicy sensation. Nothing too strong to handle even for those who are unable to tolerate spiciness. The crabs is at 1.1kg coming to a cost of (SGD74). The seasonal price is SGD68 per kilogram. Have to order these to soak up the sauce. A very very enjoyable meal. I would recommend sitting downstairs facing the sea for two reasons. 2) It is not air conditioned, so the dish does not cool and become cold. Take your time digging in and yes, it is finger licking good! !